The toxic effects of coal ash spills on human and environmental health and safety have become increasingly apparent and costly in recent years, with threats and risks lasting well beyond the retirement of coal-fired power plants. 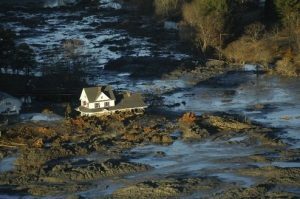 Deemed the largest environmental disaster of its kind, a 2008 spill at the Kingston Fossil thermal power plant some 40 miles west of Knoxville, Tennessee dumped an estimated 5.4 million cubic yards of wet coal ash – enough to flood 3,000 acres one-foot deep,” the New York Times reported at the time. 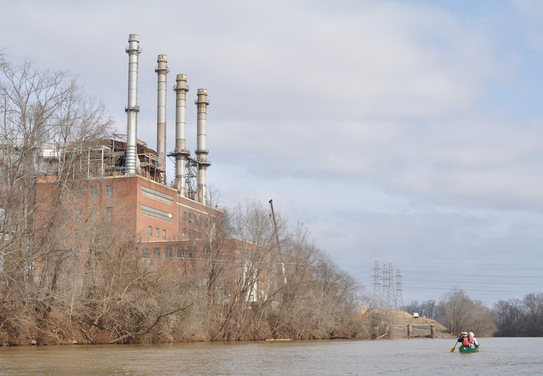 “A test of river water near the spill showed elevated levels of lead and thallium, which can cause birth defects and nervous and reproductive system disorders,” Times’ reporter Shaila Dewan quoted Tennessee Authority spokesperson John Moulton. Since then, coal ash spills have contaminated and threatened water supplies, freshwater ecosystems and human health from the Great Lakes region to the southeasteaurn U.S. Historically, the EPA has left it to state authorities to regulate environmental management of powers utilities’ coal ash ponds. After years of delay, a lawsuit brought by environmental and public health organizations and a Native American tribe prodded the EPA to take action. In response to a 2012 lawsuit brought by Earthjustice for the aggrieved parties, the EPA by December 19 is expected to finalize the first-ever federal regulations governing coal ash disposal. Left over from burning coal to generate electricity, coal ash is the second largest industrial waste stream in the U.S., the coalition highlights in its request. 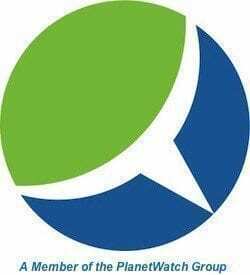 Containing a toxic mix of pollutants that includes arsenic, chromium, lead and mercury, coal ash ponds pose profound threats to the health and safety of air, land and drinking water, the coalition of 120 highlights in its request. Urging the Obama Administration to institute strong, comprehensive federal safeguards governing coal ash disposal, the 120 organizations request the final rule ensure that legacy coal ash dumps are closed and cleaned up. “Now is the time for your administration to stand up and protect the many citizens living in the shadows of these dangerous and contaminated sites. We ask that you finalize strong federal protections this year for coal ash pollution to not only prevent the next big disaster, but to stop the slow poisoning of American communities,” the coalition’s letter concludes.